Commercials and advertising often promote that chewing gum helps fight cavities, but does it really? The short answer is, yes, it does help fight cavities; however, it is important to choose the right kind of gum in order to receive its benefits. Studies have proven the advantages of chewing gum after a meal, but it is important to understand that there are different types of gum and choosing the right gum is essential. Chewing sugarless gum for twenty minutes after eating can help to prevent tooth decay. There are many options available for sugarless gum, allowing for almost everyone to find a flavor to enjoy. Sugarless gum allows for an increase in the flow of saliva and wash away sugar loving bacteria from the mouth. After eating, the mouth is full of tiny particles that are left behind from the foods that you chew. Bacteria live inside every mouth to help break down these particles, but when they are allowed to linger for too long the bacteria quickly go from helpful to harmful. As the bacteria do their job to break down food particles they begin producing acids, and these acids are what cause cavities in the teeth. Chewing sugarless gum helps to combat this process because the excess in saliva flow will flush the bacteria away from the teeth so that they cannot cause extensive damage. It cannot be stressed enough that you should chew sugarless gum. The bacteria inside the mouth are most attracted to foods that contain a high amount of sugar, thus producing more acids as they break down food particles. Chewing gum laden with sugar only increases the amount of sugar present inside the mouth, allowing the bacteria the means to do a great deal of damage. 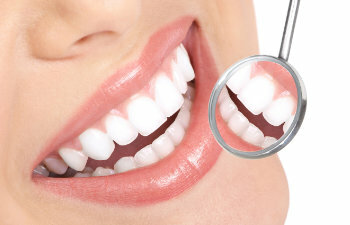 At Gold Hill Dentistry, we want to help you achieve the healthiest smile possible. We can recommend types of sugarless chewing gum to help in your endeavors to ward off tooth decay. Contact us today!